Beer brands are not afraid of getting creative with their experiential campaigns, as our run-down of Event's favourites from the last few years shows. 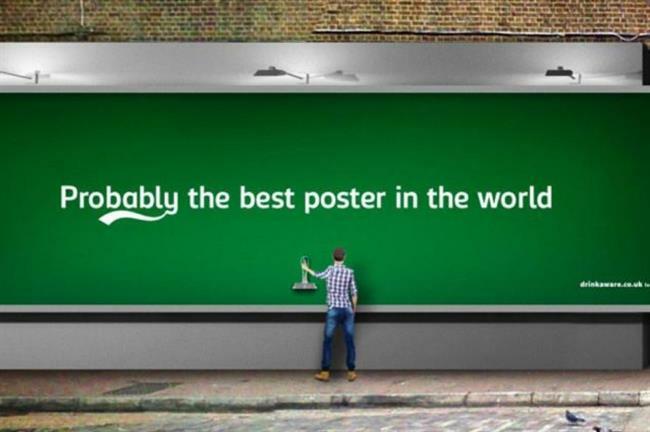 'If Carlsberg did posters…' they would be large, green and dispense free beer, and so they did last April in east London. Fold 7 collaborated with Mission Media to create the billboard, which was the first in a line of surprising experiences for the Danish beer brand. Passers-by were able to help themselves to a free, cold half-pint of lager. The experience followed on from the brand’s 2014 Eternal Optimist Pub, which was designed to be the ultimate waterhole for blokes and featured a consistently-stocked, 360-degree conveyer belt bar, an Xbox zone, games room and beer garden. 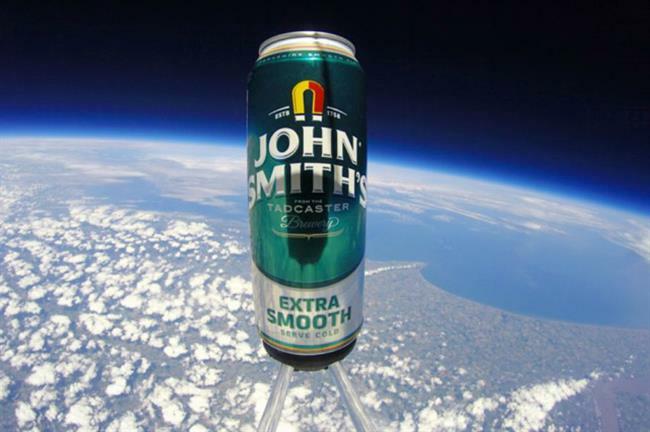 As part of a wider 'out of space' campaign, John Smith's rocketed a humble crate of bitter 37,430 metres into the earth's atmosphere. The beers were launched using a large custom meteorological balloon, which burst at maximum altitude, and a parachute protected the goods as they fell back to earth. Once the drinks had safely landed, fans of John Smith's on Facebook could go in the draw to receive one of the intergalactic cans. 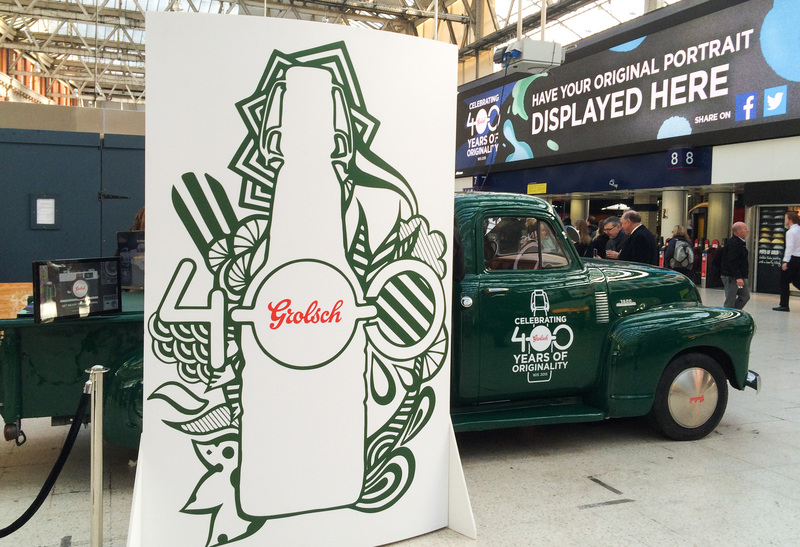 Last year saw Grolsch embark on a UK-wide experiential tour to celebrate its milestone 400th birthday. The mobile activation was housed in a branded Chevrolet car and featured an interactive photobooth. Eight vintage cameras photographed snap-happy consumers simultaneously, and merged the pictures into a collage portrait; the image was then sent to an LED and displayed as a giant Grolsch swing-top bottle. Another brand celebrating a massive birthday was Kronenbourg, which turned 350 in 2014. To celebrate it turned the streets surrounding restaurant Le Café du Marché in London’s Farringdon into the French town of Strasbourg, where the original Kronenbourg brewery was founded in 1664. Why activate one brand when you can activate six? AB InBev took the opportunity to showcase a plethora of its beer brands last year with The Beer Bakery - a bread store that sold loaves inspired by Corona, Stella Artois, Budweiser, Becks Vier, Leffe and Hoegaarden. 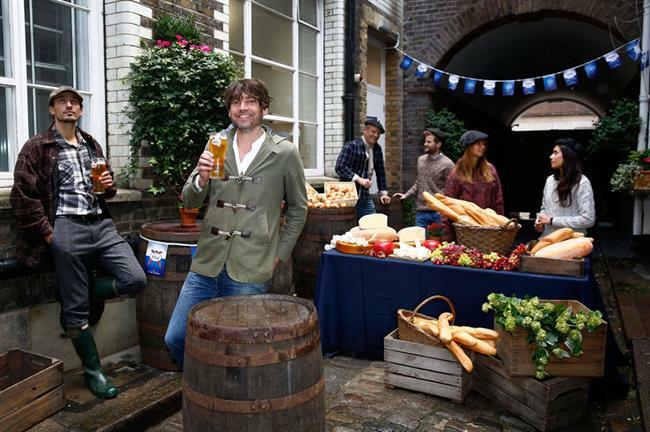 The pop-up's interior aimed to blend the traditional British pub with an artisan bakery. It showcased the bread baked by The Fabulous Baker Brothers along one of its walls, meanwhile a bar served each of the six beer varieties.